The dreaded June exams are almost here! What does my child need? How can I ensure that they are ready? It’s the 2nd term. Your child walks up to you, shoulders hanging lower than the floor, a look of despair on their face. They slowly raise their hand. In it, you notice a single piece of paper. Trembling you reach out for it. You KNOW what it is, but a part of you still believes that maybe, just maybe, it isn’t what you expect. Okay that was extremely over dramatized, but I needed to grab your attention. If you are reading this now, chances are your child has recently received their exam timetable, and preparation is soon to begin. We know that this time of the year can be quite stressful, but it really doesn’t have to be. Not if you plan effectively. 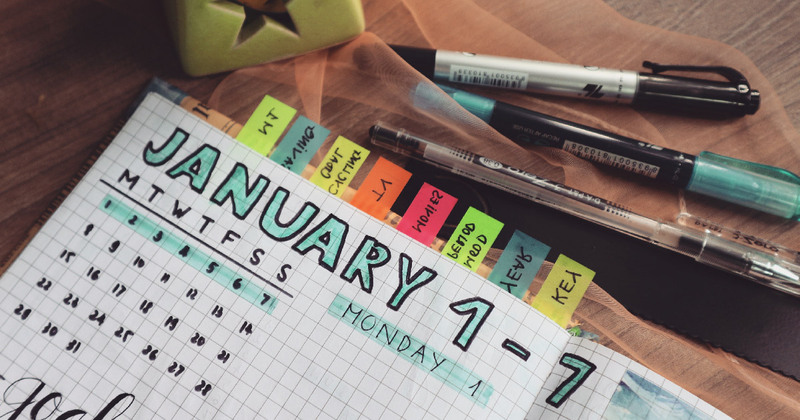 Firstly, head on over to our free exam resources page to get FREE study timetable templates to download and print – click here. Your child must start by organising their life and learning to prioritize. They mustn’t leave studying until the last minute in order to prevent cramming. Cramming does not benefit long-term memory retention. The present school system calls for long-term retention because the entire year’s work is tested later in the year during the 4th term. Studying habits that focus on knowledge retention means an easier study programme throughout the year, and less stress. The study plan should be balanced, so that your child is able to study each subject in its entirety. This should ultimately boost their exam performance. Be sure to allow plenty of time for revision. Your child should study unfamiliar concepts first (the one’s that need more attention) while their brain is more alert, followed by the material that comes more easily. Effective studying isn’t just about having the best notes / summaries. It’s also about being in the right mindset for learning. Having a clean and quiet study space definitely plays a big factor in this. Set up a clean, tidy space in a quiet part of your house for your child to make use of while studying. Eliminating all distractions is vital! Our free exam resources page also includes downloadable MP3 audio tracks with ambient background noise to help your child focus. Try it out. Every child has a unique learning style. Identifying it will make studying so much easier, as you will be able to customize the study material into a format that your child absorbs the best. 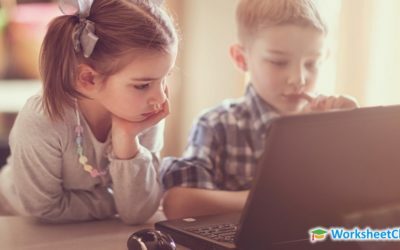 To identify your child’s learning style, and find tips on how to cater for that style, take our 2 minute learning style quiz here. Your child will also benefit greatly from using WorksheetCloud for exam preparation as part of their study plan (plus we’re currently offering a 25% discount on annual subscriptions – click here for info!). 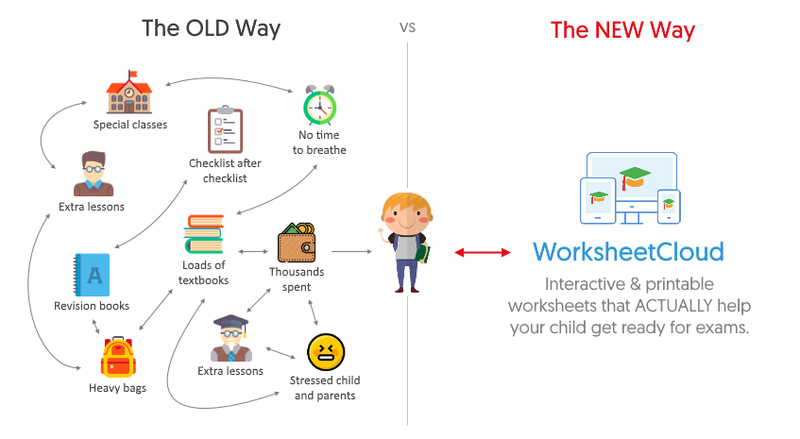 WorksheetCloud is specifically designed to help your child revise and prepare for tests and exams throughout the year by providing worksheets and practice exams (with memos!) for English, Afrikaans, Mathematics, Natural Science and Social Sciences. It will help you save time, and help your child feel confident and ready to tackle the June exams. Added sugar: Limit added sugars. Naturally occurring sugars, such as those in fruit and milk, are not added sugars. Examples of added sugars include brown sugar, corn sweetener, corn syrup, honey and others. Saturated and trans fat: Limit saturated fats — fats that mainly come from animal sources of food, such as red meat, poultry and full-fat dairy products. Look for ways to replace saturated fats with vegetable and nut oils, which provide essential fatty acids and vitamin E. Healthier fats are also naturally present in olives, nuts, avocados and seafood. Limit trans fats by avoiding foods that contain partially hydrogenated oil. Also, make sure they drink plenty of water to keep well hydrated. This will keep their brain alert and ready to learn at all times. You may feel like your child should spend every waking hour preparing for their exams, but sufficient rest and a good exercise routine is also vital. Studying in 15 – 30 minute intervals with 5 to 10 minute breaks is definitely more beneficial than cramming over extended periods of time. Your child’s mind needs regular breaks in order to function at its maximum capacity. The number and length of breaks will depend on your individual child, so keep trying until you find the ideal formula. Also ensure that your child gets a sufficient and consistent amount of sleep each night (8 – 10 hours depending on their age). You’ve no doubt heard about the numerous physical health benefits of regular exercise, but have you ever stopped to think how it could influence your child’s mental performance? Aside from providing a well-needed break from marathon revision sessions, when our bodies engage in movement, it triggers the release of various hormones and chemical compounds in the body. These hormones and chemical compounds all have very important effects on various brain functions. How do you fit exercise time into your child’s already jam-packed exam study schedule though? To start with, it’s important to be flexible. Fit exercise around your child’s revision timetable and find what works for them. Remember that exercise doesn’t have to last for hours to count. During revision periods, you might benefit from moving towards shorter, more intense sessions like a quick jog or some skipping. You still get all the important physical and cognitive benefits, just in less time. Your children can also stay fresh throughout the rest of the day by taking regular movement breaks from their work, every half an hour or so. Whether it’s a short walk or a few stretches, help them to stay active. You know that exciting feeling when you walk down the stationery aisle in Typo (because let’s be honest, who doesn’t love stationery!)? Well that is exactly how your child feels when they start exams with a fresh set of pens, pencils, erasers, and everything else stationery related. It is also very important that they have the correct tools for each exam that they write. Here’s is a list of most of the studying / exam stationery that your child will need (depending on which subjects they take). If you make sure that all of these points are in place, then there is nothing but success awaiting you and your child. Now go and ace your exams! I’m very interested to hear if this blog post helped you with preparing for the upcoming exams. Post your comments, suggestions and questions below. I personally read and answer every comment. I would really like the join WorksheetCloud, but wants to know if all of your material are also available in Afrikaans? All of our worksheets and practice exams are available in both English and Afrikaans. All you will need to do is select your child’s default language when you are signing up.